NEW EDIT. 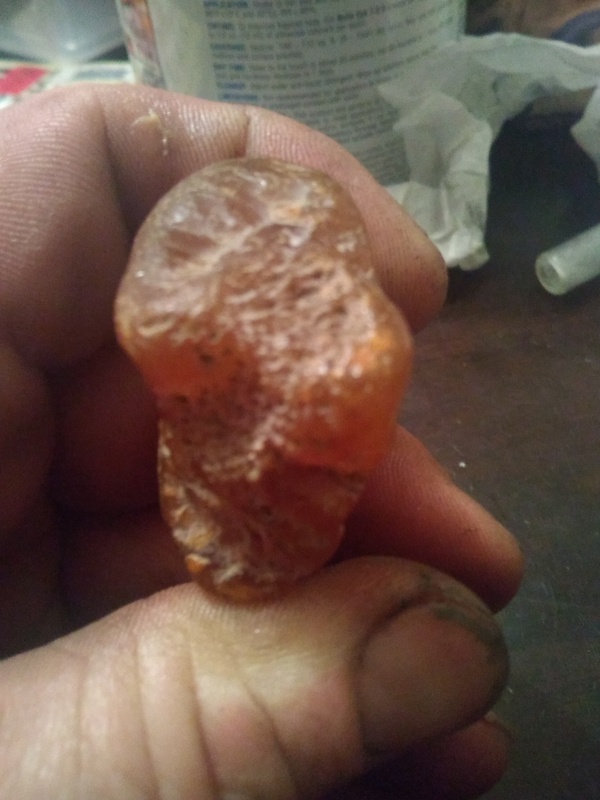 I took a sharp knife and scratched at the orange/amber area. The area the blade tip went across would develope a faint white mark; however if I licked my finger and wiped the mark it disappeared with no visible scaring or trace. I attempted to mark the rock at various pressures until I was pushing so hard knife would skip and I stabbed into the wood work bench a 1/2". No matter the pressure results were the same. Old..... I founde digging through piles of river runoff dirt/rocks that were removed after flooding from farm land. It was originally located in Central Iowa, Story County, USA. In natural light the Orange/Amber color appears much brighter. Stone is wet from washing. Pictures are of the front (2); then the back (1). 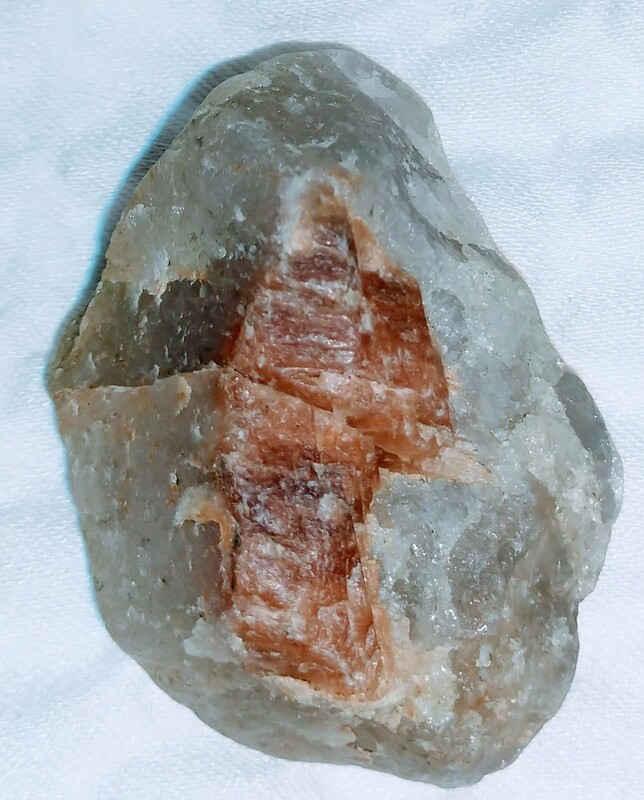 I am new to this but believe it is something inside quartz. Please help educate me! 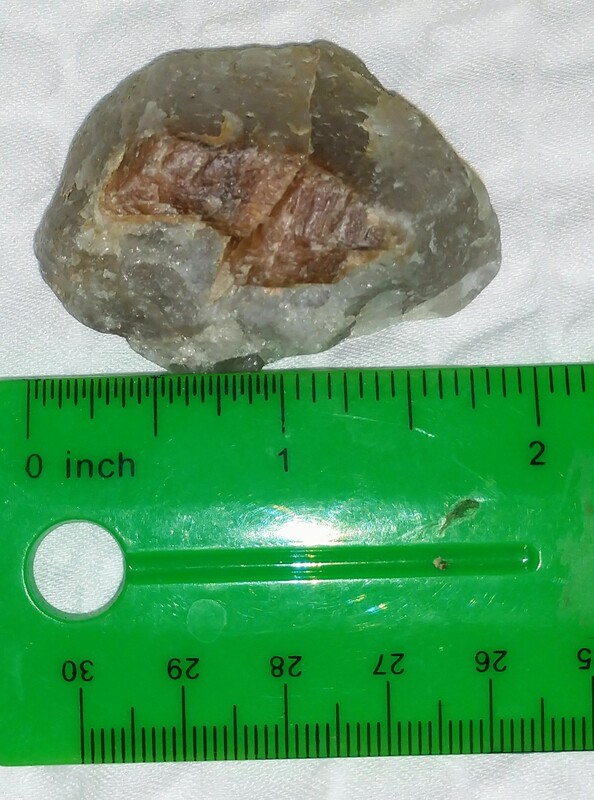 Its likely feldspar in quartz, likely potassium feldspar by color (image below). 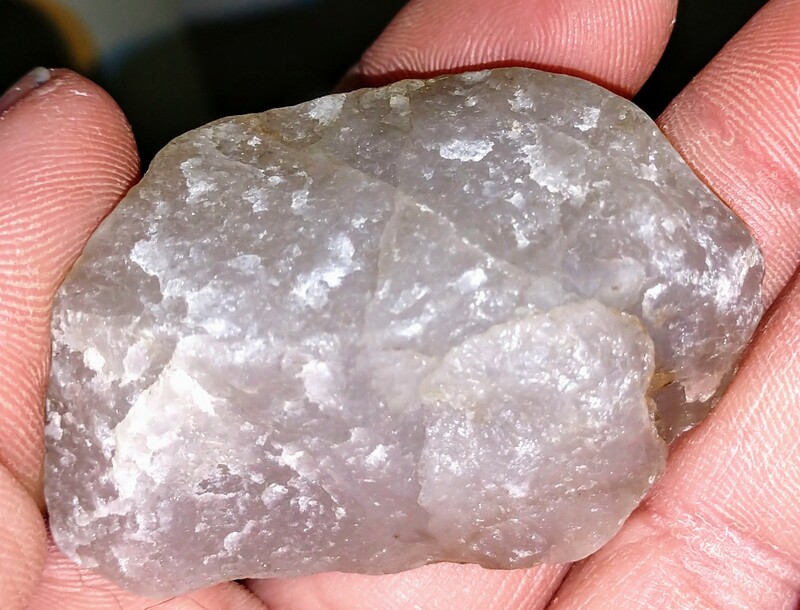 Feldspar and quartz are often found together, it should be softer than the quartz but still harder than most steels but not harder than harder steels like file steel, sadly using a knife can be troublesome in this range since modern knives vary wildly in hardness. 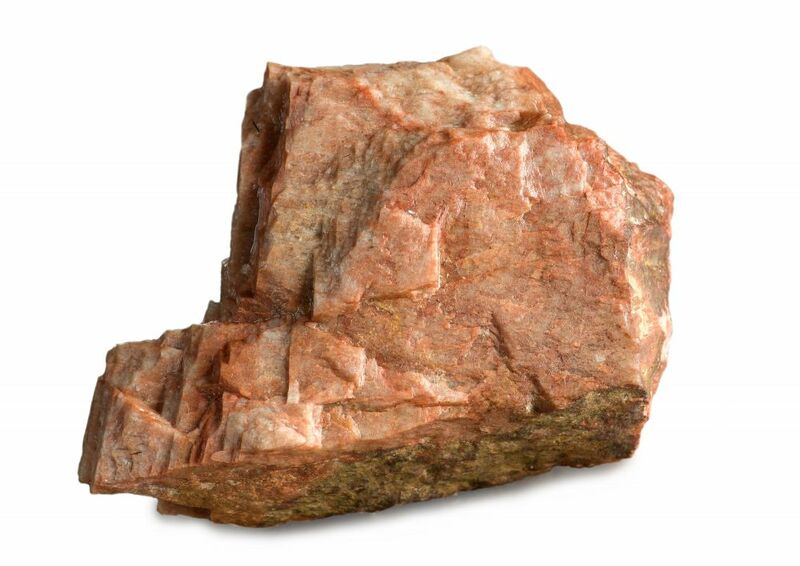 Feldspar ends up with flat cleavage while quartz is irregular (aka has no cleavage) which matches your image. 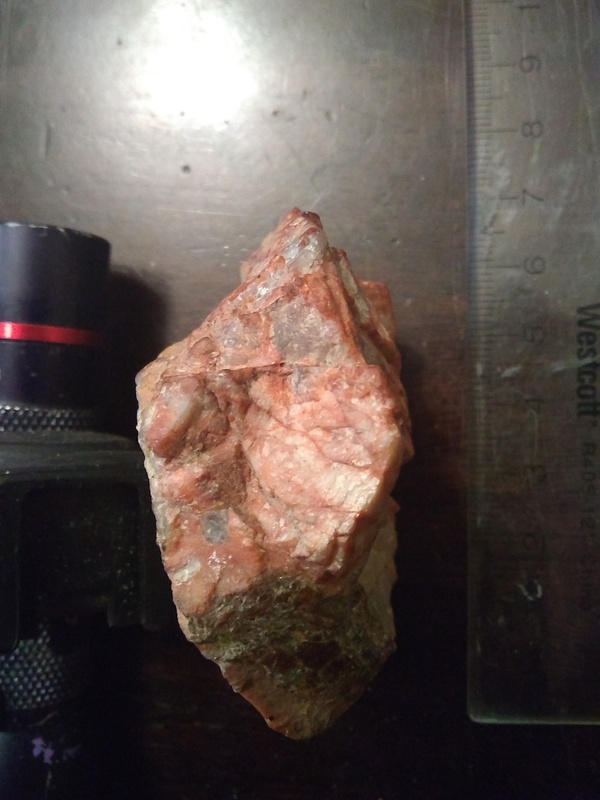 What are these lines on this stone? What are these inclusions inside this Rainbow moonstone? 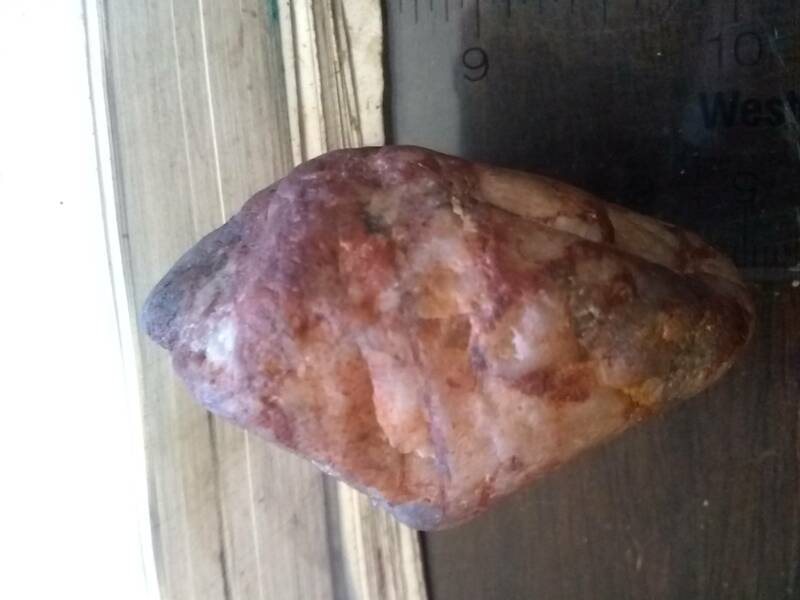 What are the name of these stones? 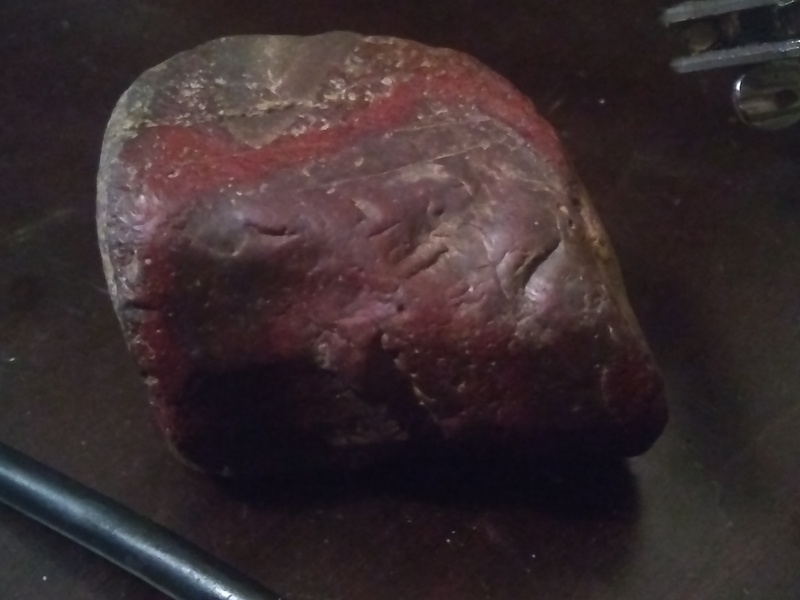 I bought these stones recently, can someone help identify them?